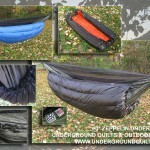 Welcome to UGQ Outdoor Equipment, where we make back packing gear for your style. Whether, back packing, kayaking, canoeing, bike touring, or just about any other outdoor adventure activity that requires light weight small pack size equipment we can help you out. 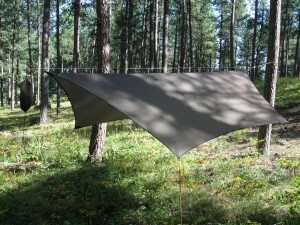 We manufacture high quality back packing quilts, tarps and accessories from our shop located in Jackson, Michigan. Feel free to look around and see what we have to offer, if you have any questions please see our policies page or contact us directly. Our FLIGHT JACKET Top Quilts are the ultimate in warmth whether sleeping in a hammock or a more traditional ground sleeping configuration. 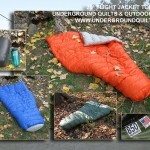 The FLIGHT JACKET is a light weight sleeping bag quilt leaving the zipper, hood, and closed back of a sleeping bag at home. 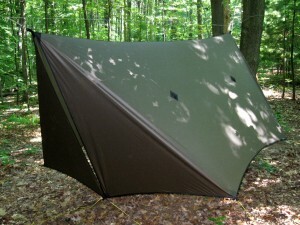 All the insulation is located on the sides and top, where it works the best. 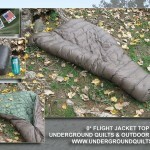 The insulation in a traditional sleeping bag under your back ends up compressed losing its effieceny. 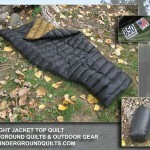 All FLIGHT JACKET Top Quilts shells are constructed from illume15 a light weight 15d 0.9oz DWR Ripstop Nylon and feature 16-21 down chambers. Our chambers are narrower than most manufacturers resulting in a more even distribution of down across the quilt. Each chamber is then filled with the right amount of DWR down, either 700+ GDD or 850+ GGD, your choice. The combination of the our DWR shell material and our DWR down means your quilt will be protected from moisture related issues and retain its loft much better than other quilts using untreated down fill. Go to any of the images below to purchase or see more product details. 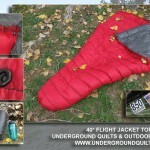 Each FLIGHT JACKET Top Quilt includes standard snap/draw cord foot box closure, snap/draw cord neck closure, and pad attachement loops for use with a ground pad. Sil Nylon stuff sack included. 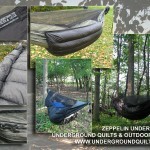 A ZEPPELIN Under Quilt is one of the best ways to stay warm in your hammock. 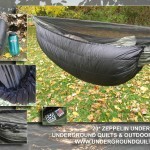 ZEPPELIN Under Quilt shells are constructed from illume15 a light weight 15d 0.9oz DWR Ripstop Nylon featuring 11 dual differential cut chambers. Our chambers are narrower than most manufacturers resulting in a more even distribution of down across the quilt. Each chamber is then filled with the right amount of DWR down, either 700+ GDD or 850+ GGD, your choice. The combination of the our DWR shell material and our DWR down means your quilt will be protected from moisture related issues and retain its loft much better than other quilts using untreated down fill. What better way to keep that head of yours nice and toasty warm on those cold winter days than a UGQ DOWN SKULLY? We look forward to providing you with gear you can be proud to own for many years to come.